It's easy to accidently send a message if you hit the wrong key combination. Ctrl+Enter and Alt+S will both send messages. 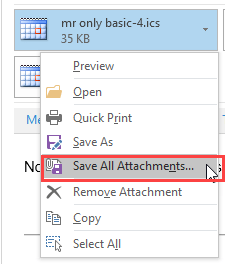 Outlook has an option to enable/disable Ctrl+Enter for send. In addition, the first time you press Ctrl+Enter while composing a message, Outlook will ask if you want to turn it on. If you want to disable Alt+S, you'll need to edit the registry. This prevents accidental sending of Meeting and Task Requests as Alt+S saves or sends, depending on the item type. With Alt+S disabled, you will need to click the Send button. Enter some characters in the address field that won't resolve, such as like "khnvjd". If you accidentally hit send, the pick names dialog pops up. When you're ready to send it, remove the characters and send. I prefer this method because it keeps me from accidentally sending using Alt+S and gives me a change to change my mind before I send it while leaving the option to use either Alt+S or Ctrl+Enter to send. If your only problem is accidentally hitting Ctrl+Enter, you can disable the Ctrl+Enter keystroke combination by editing the registry. Don't forget to restart Outlook for the changes to take effect. 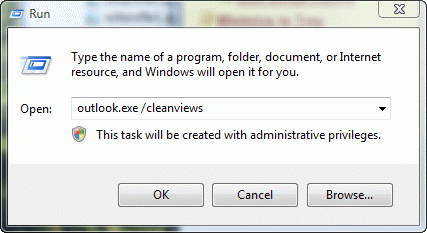 If you don't want to edit the registry, you can download a ready-to-use registry file then double click to run it. Ok the security dialogs to add it to the registry. What other keys can you disable? Quite a few actually, as long as you known the key code. Use the format, where the KeyModnn contains the key code. I intentionally misspell any word within the body. Both are good methods and the first has saved me many a time. Note that it only works on new mail, unless you like deleting and replacing the addresses. The second requires spellcheck on send enabled, which is a good idea anyway, even if you use Word for spell check as you type, since using File, Send to in other applications doesn't use Word as the editor. It also spellchecks your subject field. Updated and re-published on October 15, 2018. Last reviewed on October 15, 2018. How to change your email password and check POP and IMAP server settings in Outlook 2016. Are you having problems printing from Outlook? What to check when your iCloud contacts aren't showing in Outlook's Address book when you click To. Outlook's autocomplete only looks at the first letters in a name or address when suggesting addresses. 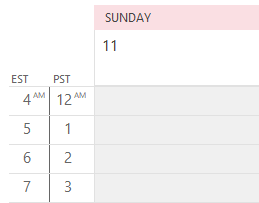 You can reorder Tasks by dragging them up and down Outlook's To-Do List. You can also change values by dragging task to a new group. 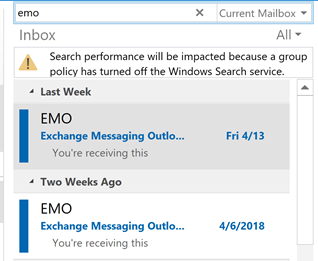 How to enable Outlook search if Instant search isn't returning results.